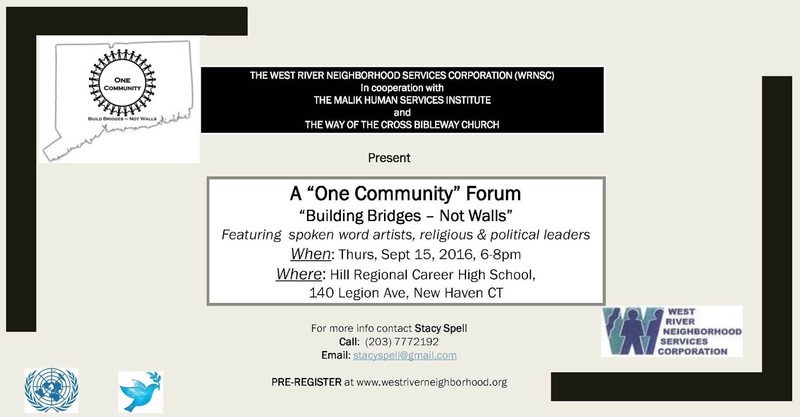 "Building Bridges -- Not Walls"
Featuring spoken artists, religious & political leaders. Hosted by The West River Neighborhood Services Corporation, in collaboration with The Malik Human Services Institute and The Way of the Cross Bibleway Church. A Great New Haven Event!